3. Production Manager (Electronic & Digital Media) - Degree of a recognized University or equivalent; ii) POST GRADUATE Diploma or equivalent in Film or Television Direction/Production; iii) At least two years professional experience in a responsible capacity in a TV Production Organisation of repute including experience of making arrangements for TV Shooting Programmes. 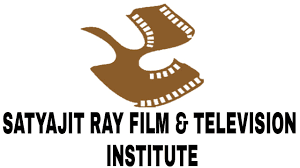 Demand Draft (non-refundable) of Rs.200/-, drawn in favour of Satyajit Ray Film & Television Institute”, payable at Kolkata. The following categories of applicants are, however, exempted from payment of application fees as per extant practice of GOI - SC, ST, PH, female. The applicant may send the application by speed post or may drop in the application box located in Admn. Block of this Institute, latest by 02.05.2018.